SOX4 is an important component in the tumor-promoting transcriptional response induced by TGF-beta in breast cancer. Here, Stephin Vervoort and Ana Rita Lourenco performed an unbiased transcription factor interaction screen and identified SMAD3 as a novel interaction partner of SOX4. 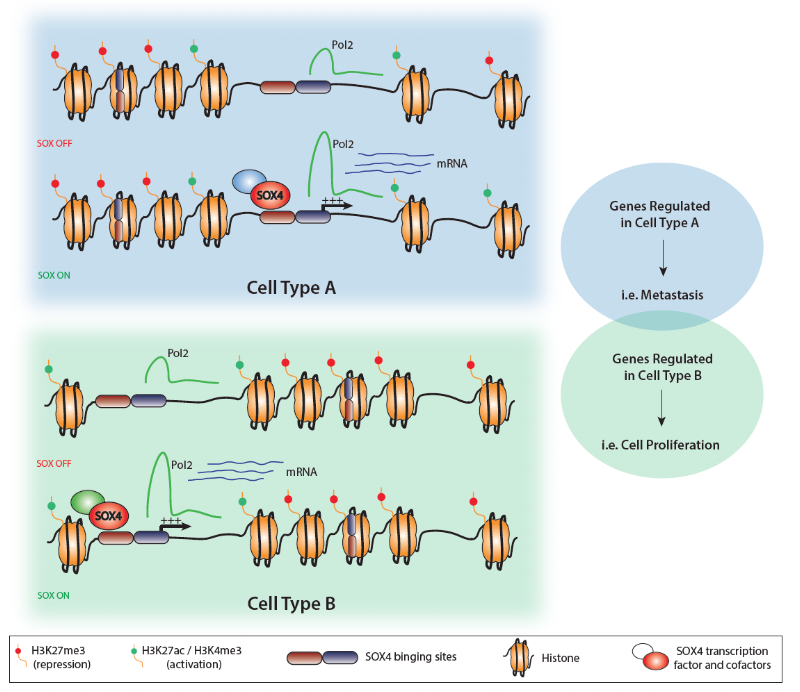 SOX4 was found to specifically control a pro-oncogenic subset of SOX4/SMAD3 co-bound TGFbeta-target genes, associated with poor-disease outcome. Our findings thus highlight a novel role of SOX4 in the TGFbeta-pathway by cooperatively regulating target genes with SMAD3 in a context-dependent manner, thereby skewing TGFbeta-responses. This work has been published in Nucleic Acid Research.